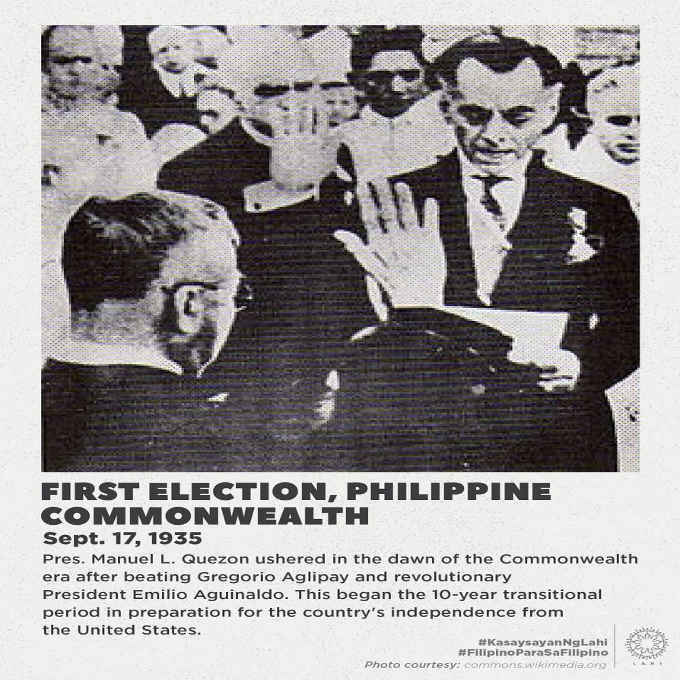 On September 17, 1935, the first national elections in the Philippines were held. President Manuel L. Quezon ushered in the dawn of the Commonwealth era after beating Gregorio Aglipay and revolutionary President Emilio Aguinaldo. This began the 10-year transitional period in preparation for the country’s independence from the United States of America.